No configuration required, no need to enter an address to connect. Devices are automatically discovered. 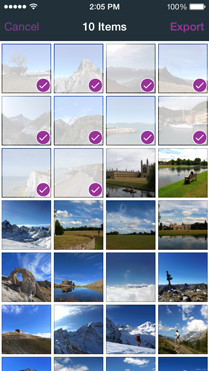 Select photos and videos and they are transferred to your device in seconds. Without iTunes and without USB cable. 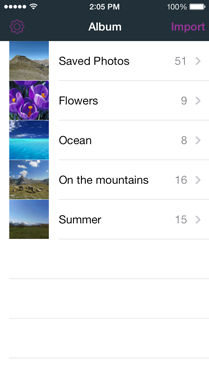 Picture Transfer supports photos and videos in these formats: jpg/jpeg, png, tif/tiff, gif, bmp, mov, mp4, and m4v. Exif (Exchangeable image file format) data are preserved and, to ensure the highest quality, no compression is applied. Picture Transfer is not a cloud. Files are transferred directly on your local network. 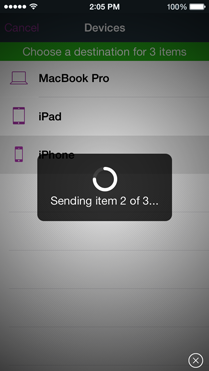 No need to upload your files to the Internet, then download them on any device. 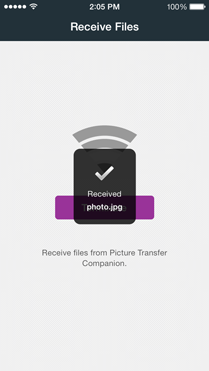 Find answers to commonly asked questions about Picture Transfer.